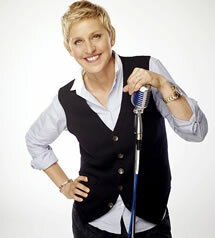 It has just been announced that Ellen DeGeneres won’t be returning to AMERICAN IDOL for a second season. This surprising news comes on the heels of recent reports of a shake-up at IDOL. Fox and IDOL execs supported Ellen’s decision through effusive statements praising the humor and warmth she brought to the show. With the departure of Simon Cowell, IDOL is at a bit of a crossroads. Declining ratings and an increasingly stale format meant something had to give. Maybe that something was Ellen. But don’t expect her absence to be the only change. It was announced this week that the show’s original co-creator, Nigel Lythgoe, will be returning to IDOL as an executive producer in an attempt to get things back on track. Randy Jackson reportedly has one more year left on his contract, but Kara…not so much. Will IDOL clean house and find new judges? While I think some fresh critiques could benefit the show, I think there are other areas of concern. IDOL has become increasingly dated. If nothing else, look at the finale which featured the Bee Gees, Michael McDonald and Chicago. Oy! What do you think of Ellen’s departure? Will you miss her? Would you like to see Randy and Kara back or would the show be better without them? Weigh in below. Ellen basically added nothing to the show, so its not a big loss. I really wish Randy would leave.